Spinach is used as in poriyal or kuzhambu only. Even though Spinach has very good medicinal value ( good for cataract ), we cannot take it frequently. 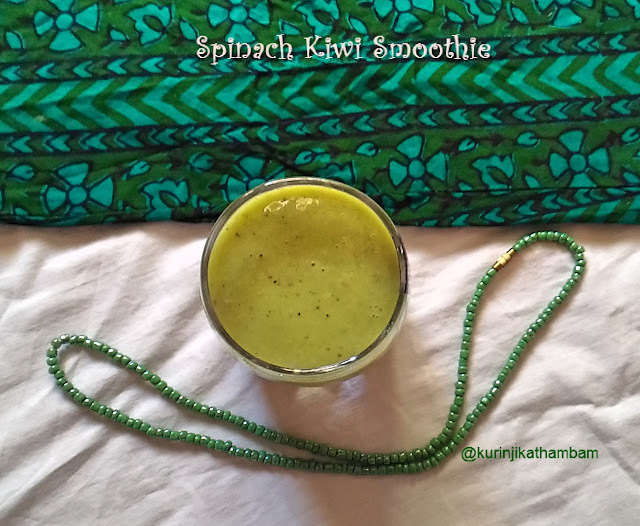 Spinach smoothie is a very good alternate option as it is cool in nature. Please check out 33 Amazing health benefits of Spinach here. 1. Peel the skin of the kiwi and cut it into small cubes. 2. Remove the skin of the banana and cut it into small pieces. 3. Clean and wash the palak leaves and cut them randomly. 4. 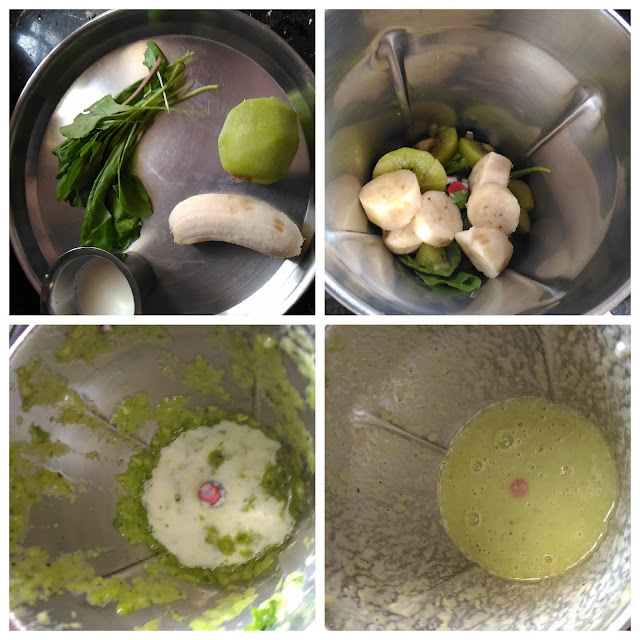 Add kiwi, banana, palak (from 1-3) and milk in a blender. Blend they become smooth paste. 5. Transfer it into serving glass, chill it and serve. Yummy and healthy green smoothie is ready! 1. You can use chilled milk also. 2. No need to add any sugar substitutes. You add banana here along with spinach. It is new combination for me..